We offer clinical services to individuals, couples, and families in distress. We addition, we offer couple therapy intensives for those wanting to work in a more concentrated time frame. Making an appointment for couple therapy is a first step towards change because it means that each partner has a desire for something to be different and a willingness to do something about it. The first meeting is an opportunity to get to know one another and for us to learn enough about you to have some ideas about how we might be helpful. Following the first session, we like to have an individual meeting with each person so that we can get some personal and family history. Then by the next couples session, we feel a much fuller sense of each of you and how we can help. We are both trained in Emotionally Focused Therapy (EFT) and use it as a road map for how we approach couples therapy. This means that first we will be exploring the cycle of conflict, or negative patterns that you get caught in so that you can learn new, more effective ways to make contact with one another. Then we will focus on strengthening the bond between you to enhance your connection and solidify a sense of safety in the relationship. For those who like to prepare in advance, we suggest that couples read the book called Hold Me Tight by Dr. Sue Johnson as a companion to the treatment. Sometimes there is just no time to waste. For couples in crisis or couples just wanting to get down to work in a concentrated time frame, we offer several options for more intensive couples therapy. Depending on your time availability, the issues you are dealing with, and your financial resources, you may opt to do anywhere from a one day (6 hours), to a one, two, or “two day plus” intensive. All one-day intensives are offered on select Fridays. The two-day plus is scheduled for Thursday evening through Saturday afternoon. Learn more HERE. Please contact us for availability. 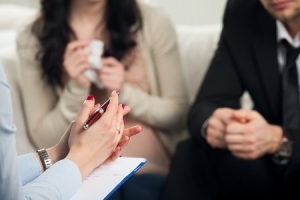 We offer individual psychotherapy to treat a variety of issues and problems ranging from adjustment and life transitions issues, to anxiety disorders, depression, substance abuse, relationship concerns and trauma. The treatment we provide is always viewed in the context of the family system. Both Nancy and Jack offer EMDR and hypnosis as treatment modalities when deemed appropriate. Families are complicated to figure out from the inside, so getting help to sort out patterns that are causing distress to one or more members can be a really important step towards getting unstuck. If a child is involved, we prefer to start by meeting the parents to get a sense of what is going on before we meet all together. For those families seeking help who have older teens or if all family members are adults, we would meet all together from the beginning. After one to two meetings, we would be able to offer a clear idea as to how we could best be helpful, possibly meeting with individuals or dyads interspersed with the family meetings.